Team Mentoring Program: Early on we offered up some mentoring to riders looking to get some input from those with a bit more experience racing. Though anyone and everyone is welcome to do so (and is encouraged to do so) a few of the board guys have offered up our time to do so formally. 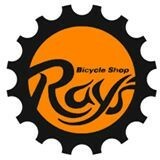 If you are looking to get some insight or ride some miles, etc. Provided is a short list. I did provide the home city of each mentor; however you need not live in the same town.